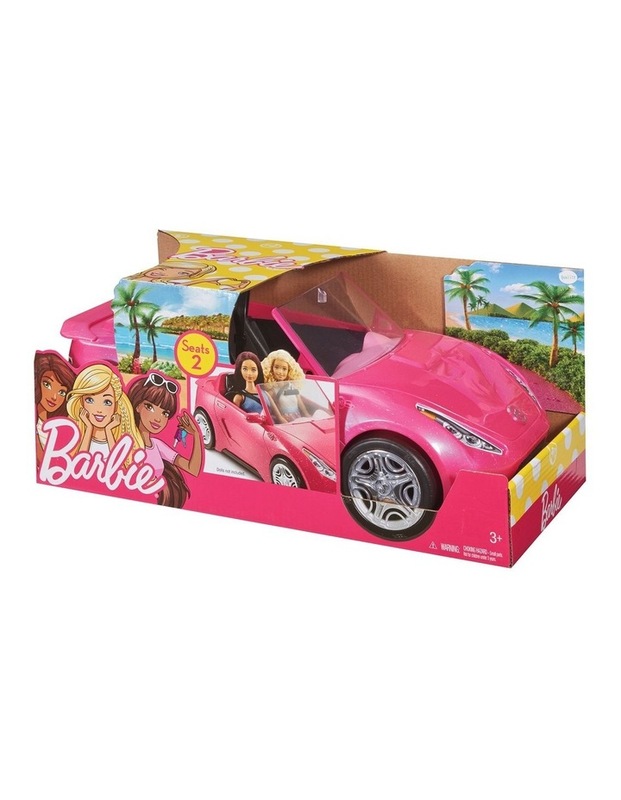 Hit the open road with the Barbie convertible -- the storytelling possibilities are endless! 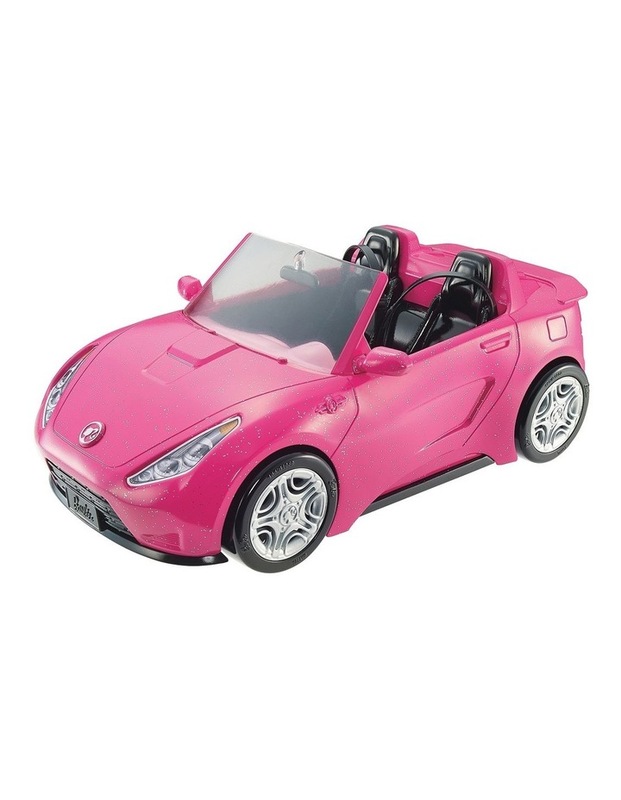 Designed in sparkly pink with the Barbie silhouette as hood ornament, the two-seater vehicle is Barbie signature style. The cars sporty shape has a spoiler in back and silvery wheels that really roll. ` The interior is modern in black with realistic upholstery labels and seatbelts for the dolls (sold separately). ` Push the convertible to drive wherever imagination can take you because with Barbie, anything is possible!